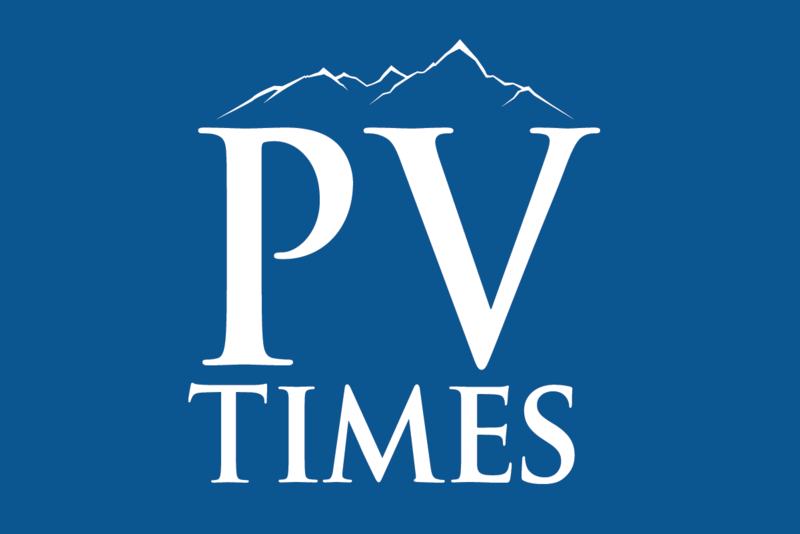 The NyE Communities Coalition’s HOPE Run/Walk saw its beginning more than a decade ago and in the intervening years, the event has continually grown and is now a regular tradition in the Pahrump Valley. 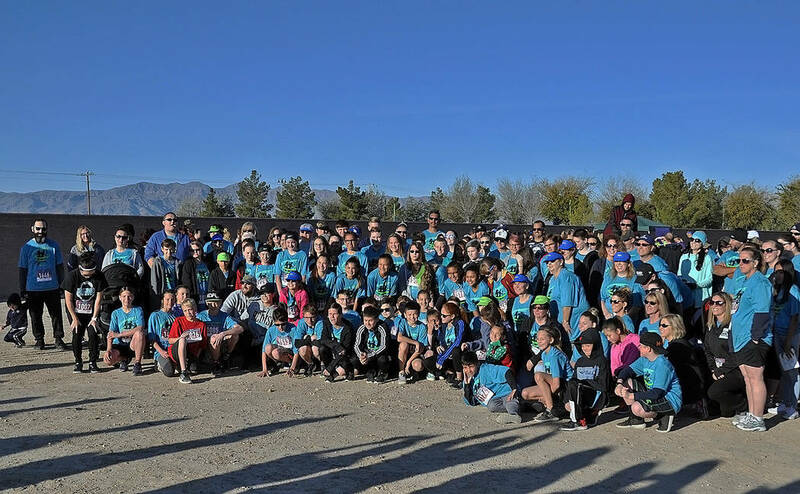 Horace Langford Jr./Pahrump Valley Times The winner of this year's HOPE Run/Walk HOPE Cup was the team from Rosemary Clarke Middle School, composed of more than 250 participants. 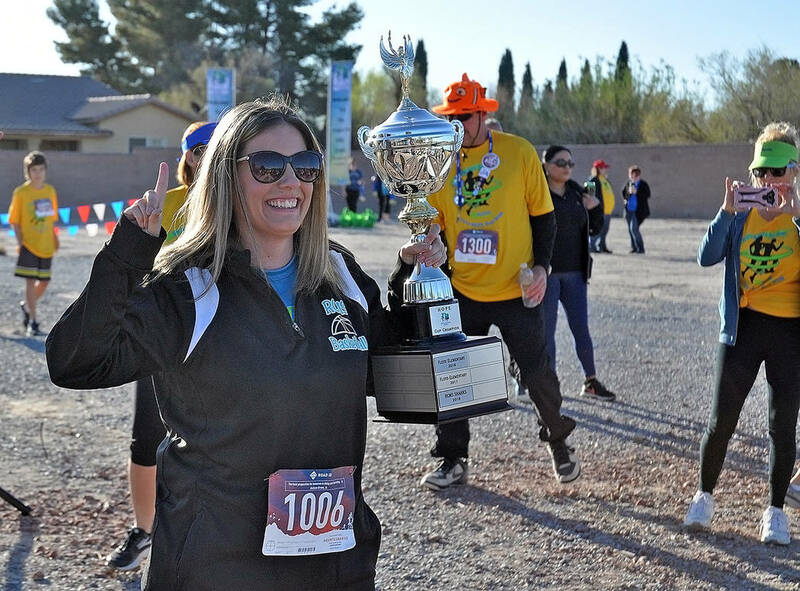 Horace Langford Jr./Pahrump Valley Times - Lori Odegard, a member of the Rosemary Clarke Middle School HOPE Run team, is shown accepting the HOPE Cup, the award that goes to the largest team. 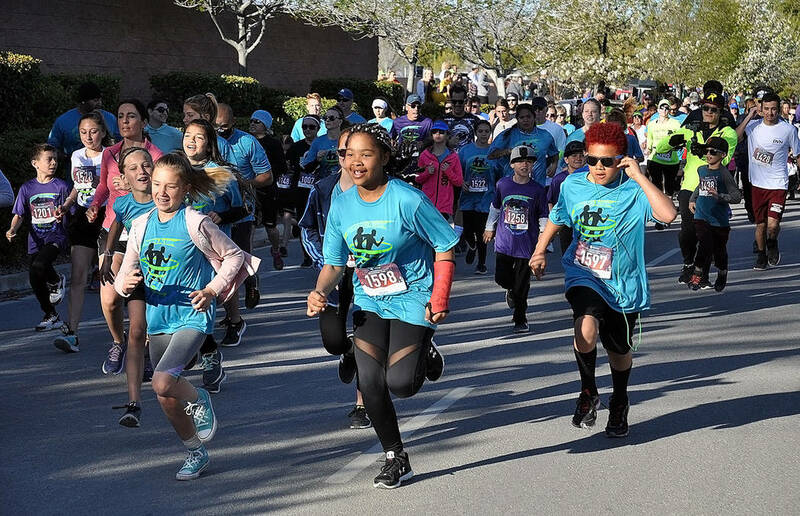 Horace Langford Jr./Pahrump Valley Times With vigorous spirit, participants in the 11th Annual HOPE Run/Walk dash forward from the starting line. 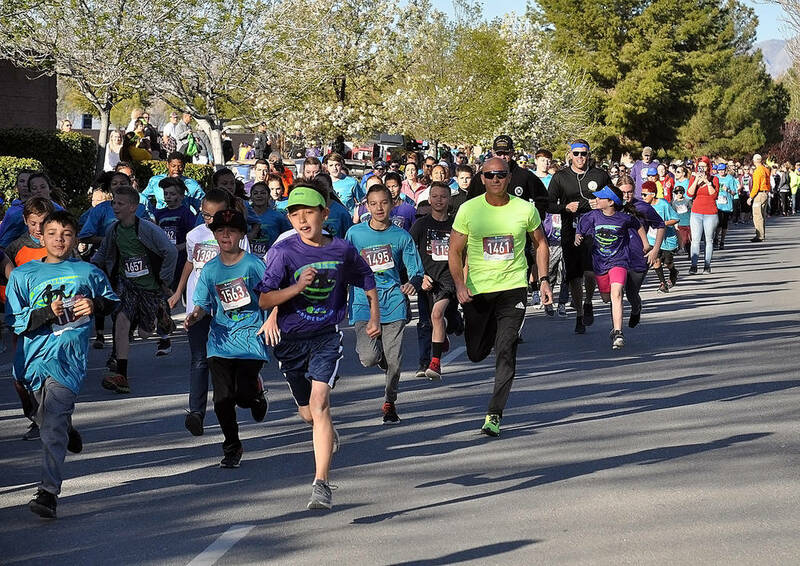 Horace Langford Jr./Pahrump Valley Times Enthusiasm and energy filled the air as the many participants in this year's HOPE Run began their early morning trek, taking part in either the 5k or one-mile portions of the event. This year marked the 11th Annual HOPE Run/Walk and the record for attendance, set in 2018 at 564, was once again shattered with a total of 670 registered participants taking part in the health-driven activity. HOPE stands for Healthy Organizations, People and Environments and all of the proceeds from the HOPE Run/Walk go to support the coalition’s many and varied programs that support this concept. All in all, over $8,000 was raised during the event held March 30 at Mountain Falls. Each year the big award that comes out of the HOPE Run is the HOPE Cup, the championship trophy which is awarded not to the fastest runner, but to the team that brings the most participants. Defending champions Rosemary Clarke Middle School were able to fend off the other teams once again to secure the title of largest team, with 246 parents, students and staff members joining that team. Odegard noted that the funds raised from the HOPE Run/Walk will support all of the programs at the NyE Communities Coalition, “…impacting thousands of people. We have programs impacting the health and wellness of everyone in Nye, Esmeralda and Lincoln counties, from pre-born through seniors. To find out more, check out our website www.nyecc.org or like us on Facebook,” Odegard said.